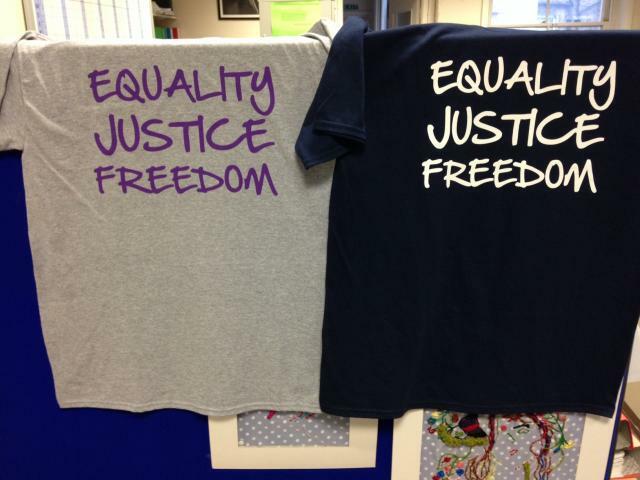 Our brilliant 'Equality Justice Freedom' t-shirts were a big hit at the Women of the World Festival this year. The colours look great, they are super comfy and they give out a fantastic message! They are only £10 plus postage and packaging. 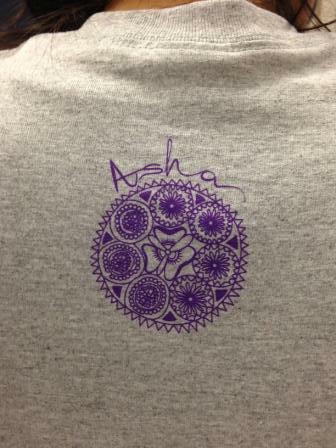 All funds raised from t-shirt sales will go directly into supporting women and children escaping violence. We will contact you with the total amount due and once we receive payment (via cheque or cash) we will send out your lovely new t-shirts. Every donation we receive will go directly into supporting South Asian women and children escaping violence.